3 Foreign Women with Kids in China Talk About Chinese Schools | WWAM Bam! Should I send my kids to Chinese schools? It’s a question that many foreign parents in China ask themselves, especially those with a Chinese spouse. Journalist Lenora Chu asked herself the same question years ago in Shanghai when deciding where to send her son Rainey. 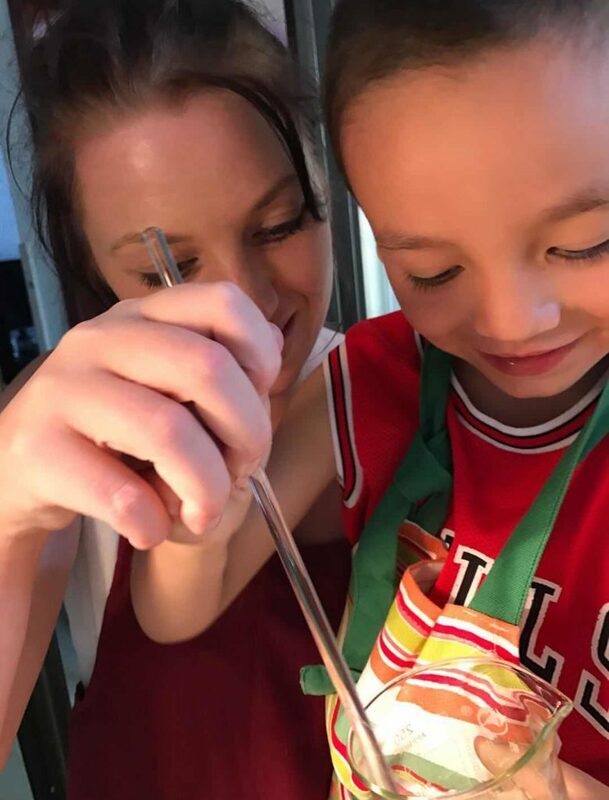 She ultimately enrolled him in a local Shanghai kindergarten, and the experience inspired her to examine the Chinese education system as a reporter and mother. 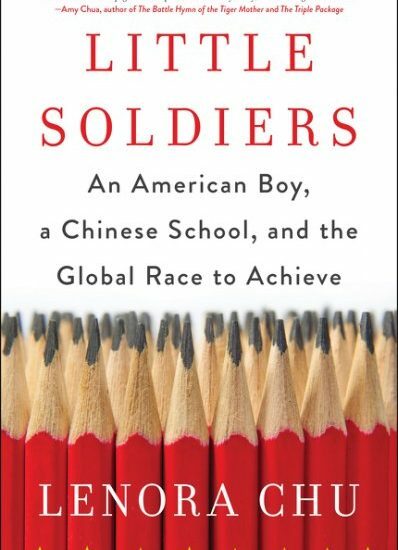 Her new memoir “Little Soldiers: An American Boy, a Chinese School, and the Global Race to Achieve” offers a nuanced and balanced perspective on the benefits and drawbacks of the Chinese education system. “Little Soldiers” ought to be required reading for any Westerner wondering if children would benefit from Chinese schooling. After reading “Little Soldiers” I was curious to know about the experiences of any foreign parents with Chinese schools or their perspectives on the Chinese education system. We asked some Western women who married Chinese men and lived in China about the decisions they made for their children. Hi, my name is Sonia. I’m originally from Ireland and now live in Liaoning province. I’m married to a man from Jilin province and we have two kids. My husband and I also own and run a private training center. My two kids — Adrian, 9, and Ryan, 6 — are both Irish citizens and go to school here in town at a boarding school. So far, my experience with sending my kids to school has been both a joy and a terrible headache. The hardest part of sending them to a school here in China is the inability of many schools to actually be able to take international students. The other extreme headache of Chinese education is the school system itself. They place too much focus on the kids’ grades and almost no time on child development. One of the purest joys of having my kids home on the weekend is I can focus on some of their creative and hands-on learning activities. My friend and I own a skin care business catering to foreign skin, so I get to further my kids’ education with hands-on learning in science, technology, engineering and mathematics or STEM. This hands-on STEM learning in my opinion is only briefly touched upon in my kids’ education at school. Bottom line, I am dissatisfied with Chinese education for young learners. I want my kids to be treated like a person and not a grade. It’s not a perfect system (which one is, honestly?) and we spend the majority of our day taking kids to and from school. Being a small town, they come home at noon for lunch, and this is when I quickly give them their Language Arts lesson using an American curriculum before taking them back for their afternoon lessons. After school they play at the track with their grandparents, and then after dinner we work on homework. While we do plan for the kids to go to high school in America, we want them to learn to read and write Chinese. We know that they’ll probably forget how to hand write many characters as they finish college and enter the workforce, but at least they’ll be able to read it easily. The downside is that, in our experience, teachers don’t want to teach the basics of pinyin or character structure. They didn’t learn much in kindergarten, nor do they learn it in first grade. So parents typically put kids in Xue Qian Ban to prep for first grade. That’s what our daughter is doing this year. Chinese education relies heavily on rote memorization. My son has to memorize entire stories from his Chinese book. The tests then require them to reproduce various parts of the story. It’s not enough to understand the story. Knowing the facts is key. Homework, and lots of it, is assigned every night. Even weekends and holidays. No joke. The only day in four years of school that he’s not been given homework was Children’s Day. As an educator myself, I know that kids need to be learning daily; summer slide is a real thing that American teachers have to face. But three hours worth every day? And all summer long? And making the parents responsible for correcting it and teaching concepts the kids cannot grasp on pace with the others? That’s asking a bit too much, especially when we are still in a time where a lot of the parents have no more than a middle school education. I try to look on the bright side. My 9 year old is doing math problems that I never tackled until high school. So I’m looking forward to him being able to test out of classes in high school and possibly getting a few scholarships if he’s able to do well on the ACT! And both kids are fluent in Chinese and English, so they’ll have plenty more than their monolingual cousins when it comes to opportunities for education and jobs in the future. 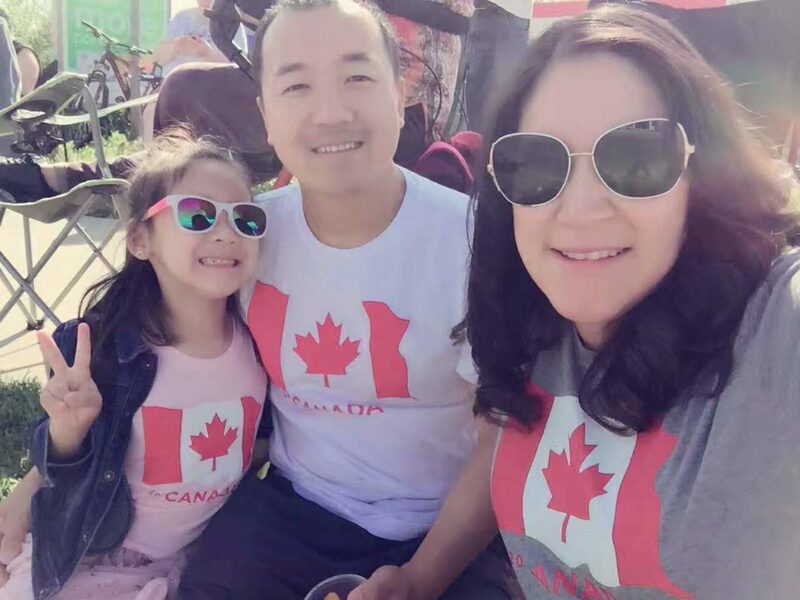 Our daughter was about to turn 3 and we often mentioned to our family that she would attend school in Canada. They had hoped we would remain in China for her education. My husband and I had discussed education many times and both find play and imagination to be a important part of early childhood education. We returned to Canada in March 2015, where our daughter attended play school for two years. She loves to paint and spend her time outdoors playing with neighborhood friends. I had done some research about weekend language classes offered in my city, but would like to have a more flexible weekend for other extracurricular activities and family time. In the end we decided this route was not for our family. This September she started elementary school and is attending a Mandarin bilingual school. I’ve noticed improvement with her Mandarin. Our family primarily speaks English, so having the opportunity for my daughter to keep her father’s language and communicate with extended family in China is great. The program just celebrated its 35th anniversary and it’s good to know that she can continue to learn Chinese throughout her education right up until she graduates from high school. What are your thoughts on the Chinese education system? If you have kids in China, will you place them in Chinese schools? Why or why not?